Hoorn, The Netherlands on a sunny day. Without these ugly parked cars, the 17th century idyll would be restored. UK consultancy firm Rethinkx has no doubts: the car society as we know it, will be history much sooner than you think. Key word: self-driving car. Once governments begin to allow these essentially driver-less taxis on its roads, the death warrant for the global car industry will be sealed. Why? Because this development would eliminate the need for expensive car ownership completely. A privately owned car in Western Europe is not used for perhaps 95% of the time (Netherlands: 12,000 km/year, average speed 60 kmh or 200 hours = 5% of a year). Instead the car could be driving during those idle hours, making money in the process and help earning itself back much, much quicker. That’s how every bus, train or aviation company thinks. So why not you, dear mr Joe Sixpack? Because the opportunity to do so is around the corner. Within a decade or two, technology, infrastructure and government regulation will exist that will enable you to travel the same distances, without actually owning the vehicle. Instead you will order a vehicle with your smart phone and after some time, a taxi will stop in front of your house, but without the taxi driver. And dependent on how much money you are willing/able to pay, you will drive away in a vehicle that is something between a small bus you have to share with others, like in the video below, or a luxury car you will have all for yourself. The future is to transport-as-a-service (TAAS). This implies a death spiral for the car & oil industry in terms of demand for their vehicles and fuel resp. By 2030 most people won’t own a car any-more. 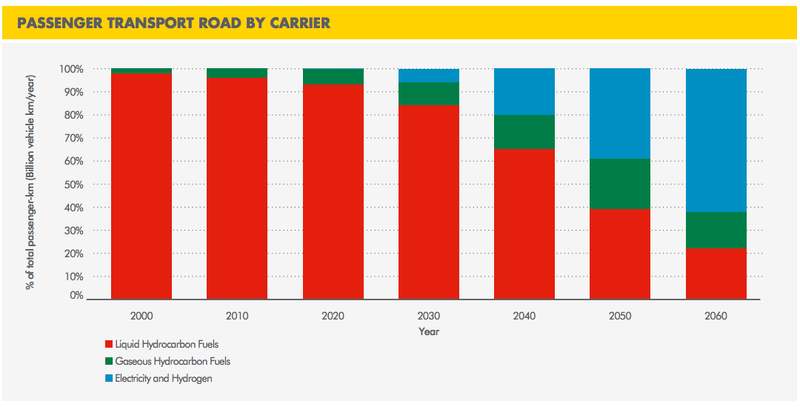 By 2030 95% of the miles driven will be done in on-demand, autonomous, electric vehicles (US). The car you are buying now could well be your last (privately owned one). This development will begin in the big cities and spread from there. By 2030 40% of the cars will still be privately owned, but drive merely 5% of the miles (upper income segment). By 2030 1 trillion $ will be saved annually on transport cost (US). Travelling in a driverless vehicle will be 10 times cheaper per mile than in a new or 4 times cheaper than in a used privately owned car. Electric vehicles last much longer and require far less maintenance than petrol cars (20 vs 2000 moving parts in power train). Added benefits: unclogging city roads, eliminating pollution (Asia! ), less accidents and freeing up parking space (cities!). Anything can be made driverless: from 2-seaters to buses. Why TAAS will prevail: cost savings, speed, increased safety and extra free time will be key factors. Death-spiral of the car industry in a single picture. Sudden death in a matter of four years (according to Rethinkx ). 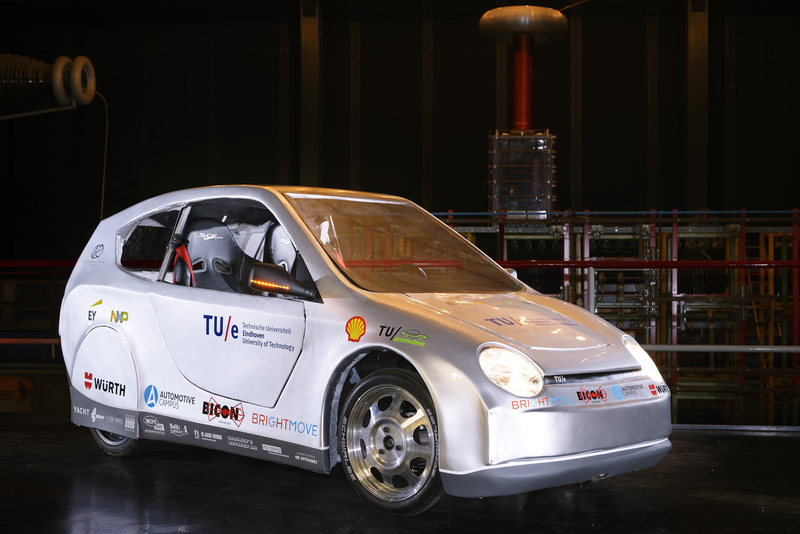 Student of the University of Technology Eindhoven (TUE) in the Netherlands, developed an electric car with an efficiency of 500 km per liter gasoline equivalent on the occasion of the upcoming Shell Eco Marathon. Weight 200 kg and with maximum speed of 60 kmh intended for city use. Batteries 12 kg, range 90 km. Motor in wheel. Range 100 km, motor 0.25 kW, 30Ah battery, 48V circuit, $5200.